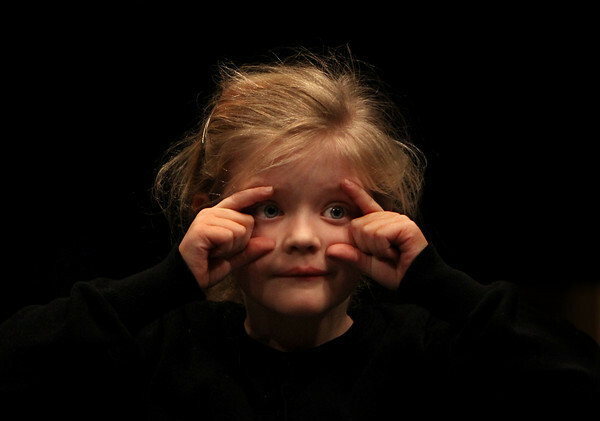 First grader Clara Grant participates in an acting exercise after school Tuesday on the first day of a weekly "Acting for YoungStars" class at Manchester Memorial Elementary School. The six-week program, sponsored by the Manchester Parks and Recreation Department, is taught by veteran actor and instructor Jape Payette of Gloucester. At the end of the six weeks, the students will stage their own variety show for parents.